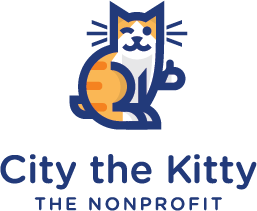 Please join City the Kitty in solidarity with The Animals’ Battalion for our Do No Harm Day and anti-declaw rallies in Cypress, CA. at 10.30 am and in Tarrytown, NY at 3 pm. on May 4th, 2018. We are rallying to remind these veterinary associations and declawing veterinarians to do the right thing and STOP blocking legislation that would ban one of the most harmful and mutilating procedures that vets perform and that goes against their veterinary oath. Declawing is an inhumane amputation procedure that is being done to around 10 million cats a year in America. Though declawing has been banned in many countries around the world, 95% of these feline paw mutilation procedures are performed to protect the cat owner’s furniture. Declawing always harms the long-term health and well-being of a cat and subjects cats to a lifetime of some sort of pain and suffering from walking on the amputations. It increases negative behaviors such as biting and eliminating outside the litter box. It produces more complications for the cats’ guardians and sadly it increases the rates of abandonment for these now mutilated and defenseless cats. Declawing has no place in an ethical or humane veterinary practice. 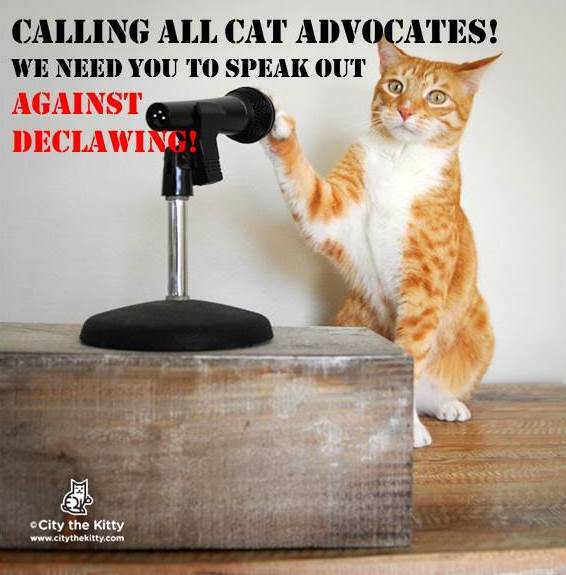 Please join us in our efforts to publicly denounce declawing while educating the masses and promoting anti-declaw legislation. We need cat advocates to come out and take a stand. The anti-declaw movement is continuously growing. Our next move is to get a statewide ban in America. This rally is a step in that direction and the first of its kind! We will have these rallies in every state someday soon!